What am I going to do? There is no way I can live with this wretched color! Sweet Pea, eh? Yuck, you are so right. There ain’t nothin’ sweet about that color! It looks like the run off from a toxic waste dump. I don’t recommend letting your child actually pick THE ugly paint color. However, yes, it’s too late. You let them at it with the fan deck and he put his adorable little sights on the most hideous shade out of the whole bunch. But, fortunately, there’s a way out. Oh, stop looking at me like I suggested you go streaking across Madison Square Garden! YES, LIE! The first rule of good parenting is the art of lying to your children. ;] I don’t mean the kind of lying like not telling them that they were adopted until they are 18. I mean the kind of lying like slipping in a bit of zucchini or spinach into his burger! Most, not all, but most 6-yr-olds have no idea what a color will look like on the wall. Hell, most adults don’t either. A color that looks good on the chip is possibly not going to look so great when it’s magnified 100,000 times. There are two ways you can lie. The truth of the matter is… They should NOT be making that color! It’s disgusting. There is absolutely no application I can think of except perhaps the interior of a holding cell where they keep terrorists or something like that. This is what happened. 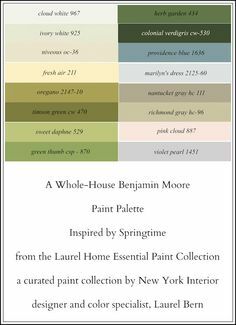 Some 20 years ago, many people were complaining about how “drab and muddy” the Benjamin Moore colors were. You know… Revere Pewter, Horizon, Quiet Moments, etc… the colors that are WILDLY popular now. So, the suits at BM went to the opposite extreme and created COLOR PREVIEW, a collection of largely insanely bright colors. Doesn’t Preview mean a glimpse of something to come? Well, I don’t know what happened, but a few years later they brought back the old colors and did a Coca Cola and now call those horrid muddy colors the “Classic Colors.” Oh whatever. We believe whatever they put in front of us. For some reason, they kept the so-called preview. I do use the preview fan deck because amidst the chromatically assaulting colors are still some lovely shades and some of their best shades of white. Alright. Of course, that doesn’t help you with the fact that there is no way you can live with this barftastic color. And you don’t have to. Since they “don’t make that color anymore”, perhaps suggest something else in that color? For instance, some cool bedding like this. Serena and Lily has fabulous bedding for kids and adults. It’s one of my favorite websites! The other lie that works really well is don’t tell him anything and choose a color something like the one he chose but toned down to a manageable level. I promise you… He will not notice the difference. But Laurel. I hate green. HATE IT! Okay, okay… please calm down! It’s not hopeless. I agree, some shades of green can be very annoying, but if you know how to work with it, you can create a very chic and charming space for your little boy. Green loves other greens. Pair the bright green with other greens and it will become a glorious analogous composition. Green loves white. 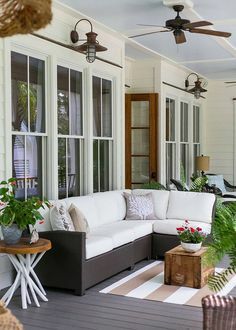 White adds a note of freshness. Above and below. This fabulous boy’s bedroom has it all. Love the art wall, too! Benjamin Moore BASIL GREEN 2029-10 is a good alternative to some of the more neon greens. Another cool boy’s bedroom. (or it could be a girl’s room too!) Another option is to take your child’s favorite color and use it as an accent. I love kid’s rooms that don’t scream baby. I had a client once who put an Oushak rug in her nursery. It was fabulous! Love this boy’s room. This wall color is Benjamin Moore 566 BUNKER HILL GREEN. This is the same room and I’m not sure if it’s an earlier or a later iteration, but it is the nursery for her daughter. My boys would’ve been hanging from the sconces – lol. But they sure are cool! Yellow greens look fabulous with dark blues. A beautiful, rich deep blue for a boy’s room is CARIBBEAN AZURE 2059-20. It would look great with lots of white, green and black. 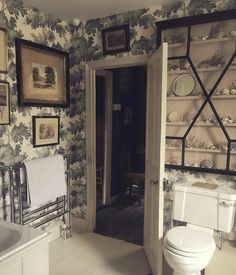 I adore how Nina integrated the large map on one wall and used the vivid green as an accent on all the wood trim. Again, a black bed, blue bedding and it’s a sophisticated, balanced and fun space. I’m all for having your kids have a say in how their room will look– if it matters to them. However, I think it’s perfectly fine to interject some adult sensibility into the design. I’ve seen many parents who’ve gone ahead and painted the offensive color in the name of giving their kids “full-control.” I know you want to be nice and you want your kids to be happy. However, it’s not good for you, and it’s not good for the kids either. I mean, you don’t let a young child drive your car and do their own grocery shopping, right? So, help them out with the paint colors too. It’s possible to have a fun, beautiful room that you both will love! My son and dil let their boys chose their own colors–years ago. One a gross dark green, the other black! Not one word could pass my lips……I can only imagine what the kids now choose for their children!!!! No black rooms in my house and no green, either. She could also try a green with yellow in it, like Agave by Ben Moore. Actually, I don’t think it’s nice; just misguided. But I know what you mean. Your way IS nice! Woodlawn Blue is wonderful. Gosh, I like all of them on that strip! I also like Buckland Blue which of course is a lot deeper but very handsome without being navy. You always make my day with your wonderful comments! Great idea you had with the client. I always say that the color on the chip is not the same as the color on the wall. Clients pick up the chip and look down on it which is also not the color. It always looks darker pressed up against the wall. That’s why I always say that the sample needs to taped up flat against the wall, not propped up. Oh gosh… that’s horrible and I have seen that too! 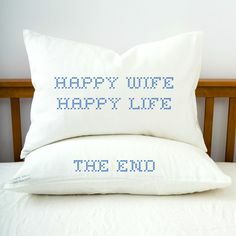 I agree, let them pick out the bedding first. Great idea!